Her hits have been the soundtrack for many of our lives (the theme from Friends, "Boogie Wonderland," "Neutron Dance," "What Have I Done To Deserve This," "Lead Me On," and many others) and now Grammy winner, and Detroit homegirl, Allee Willis, is taking her gift for songwriting and her devotion for her city a bold step further -- by creating "The D," a love song for Detroit and a new theme for Motor City's resurgence with an accompanying mega-tribute party of historic proportions this September that will be immortalized as a music video and documentary film. Arguably one of the most ambitious displays of love and support for Detroit by one of its own. Appropriately for the woman who wrote Earth Wind and Fire's smash "September," Willis is taking that month to orchestrate one of the biggest artistic and cultural events of her life by leading many thousands of the city's people -- the best marching bands, choirs, singers, kazoo players, teachers, nurses, auto workers, cooks, virtually everyone there who wants to sing, play dance, clap, juggle hubcaps, do whatever they can to show their spirit -- in a month-long sing-along to launch "The D " as the theme song for the new Detroit. 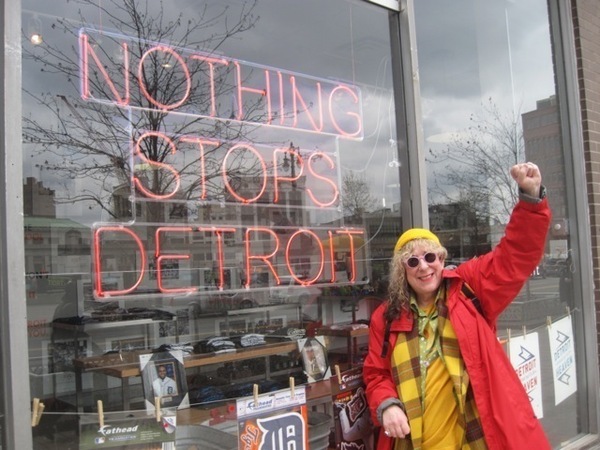 I love Detroit and credit Detroit for giving me my irrepressible soul. To this day, absorbing Motown music at my childhood home at Sorrento and Pickford has been my only musical training. Now I want to give some of that joy and inspiration back the only way I know how. 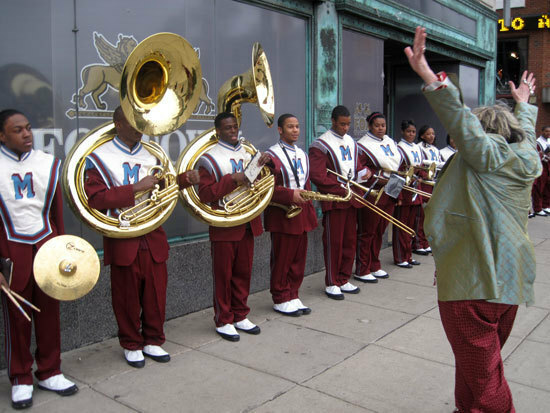 I've written "The D" with my exuberant bandleader, Andrae Alexander, and this September, we're filming the city's people singing the song at dozens of Motor City landmarks and little known funky locations, making "The D" a truly "Made in Detroit" effort. It's no secret that Detroit has had some problems, but what the news doesn't always show is that it's also a place that's consciously reinventing itself for the 21st century in incredibly imaginative ways, ahead of the curve in the type of radical transformation other cities will ultimately have to make to remain viable. To make all this possible, Willis has launched an Indiegogo campaign to raise funds for the September events in Detroit. All profits go to two Detroit crown jewels, The Heidelberg Project and the Mosaic Youth Theatre. Reinvention and constantly shifting one's perspective to stay inspired is at the heart of Willis' philosophy of creativity. This philosophy has served her as a successful music maker, and she notes, "reinvention is as vital for places as it is for people." One person's spirit can energize thousands. Music and creativity can transform a city. And the energy and success of a city can transform the world. So please help me put some gas in Detroit's tank. I can't even begin to tell you the spirit that's alive in Detroit. It's not the frightening place the news makes it sound like. Just the opposite -- it's the most soulful city on the planet. Everyone smiles at you, everyone says hello, and you can feel the energy created by artists and people with innovative ideas flocking there because it's a place where anything is possible and the only way to go is up.